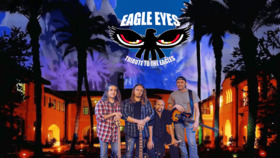 ​'EAGLE EYES' were the highlight concert of last summers TD Concerts at the Pier in White Rock, performing to a crowd of over 2000 excited fans at the beach. 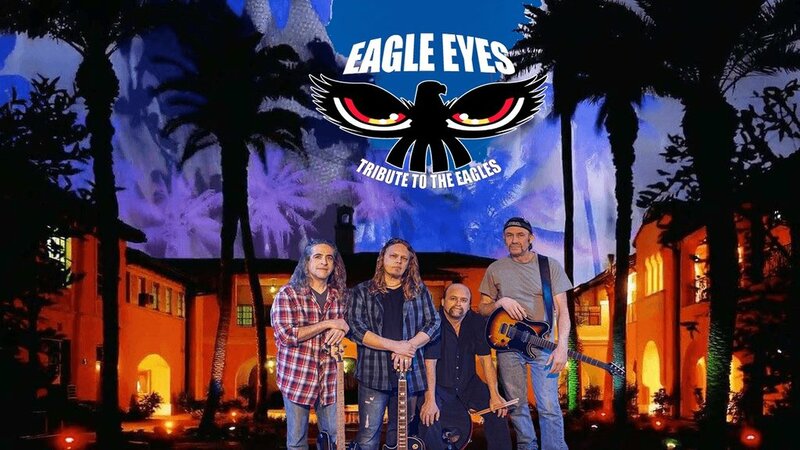 Blue Frog was successful in arranging a special exclusive return engagement of this tribute to one of the most legendary rock & roll bands of all time, ‘THE EAGLES’. The Eagles are one of the world's best-selling bands, having sold more than 150 million records, including 42 million copies of Their Greatest Hits (1971-1975) and 32 million copies of Hotel California. Jack Gunderson/ Bass & Vocals - fills the vocal role of Glen Frey and is one half of the tight and unified rhythm section as bassist. Jason Dunajski / Guitars & Vocals - performs the vocals of Don Henley and Randy Meisner and one half of the guitar tandem. Greg Murray/ Drums & Vocals - the engine of Eagle Eyes keeping the tempo of the songs flowing while adding the harmony vocals the staple of the distinctive Eagles sound. Ray Harvey/ Guitars & Vocals - is the exacting version of infamous Joe Walsh with his dynamic lead solos and soulful slide guitar parts. Don’t miss this extraordinary opportunity to experience the best of the Eagles in the intimate concert setting of Blue Frog Studios!